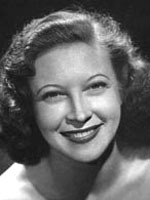 Lurenne Tuttle made the transition from Vaudeville to Radio and TV. She was known as the First Lady of Radio. Yes--great to see that CBSRMT gave a last radio cameo to so many of the great radio voices. Too bad they Didn't get more chances.